When is Anizona coming back? Does anyone know if Anizona will be coming back? The last one was in 2008 I think. Its still pretty much the only anime con in AZ. It was pretty small but still fun, I would love to see it come back. Times have changed. It used to be that AniZona was the only anime convention in Arizona... But now there are five (and even more if you count the ones that are not pure anime conventions, such as Phoenix Comicon). Cool thank you for the information I didn't realize there were so many out here! but yeah, as mentioned above, there are way more conventions in Arizona now, so there's no need to mourn the loss of Anizona! if you can only attend one, though, I recommend Sabotencon. it's at a gorgeous hotel and already has some awesome guests. Probably not, they basically went bankrupt (now that is mostly rumor based) but it was REPLACED by Saboten. 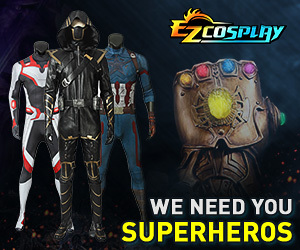 Also a great place to showcase costumes, even anime ones is the Phoenix Comicon (I am surprised they are not listed in the events master list). I put down the old website for AnimeLand TuCon.